373 of you tackled the Princes course this week, of whom 43 were first timers and 51 recorded new Personal Bests. Representatives of 24 different clubs took part. Thank you very much all of you! Congrats to those who reached milestones: Stephen Evans, Kate Swensson and Val Anderton all hit the big 50 runs, well done! Today's full results and a complete event history can be found on the Princes parkrun, Liverpool Results Page. The female record is held by Maria BARRETT who recorded a time of 17:37 on 30th March 2013 (event number 107). The male record is held by Jonny MELLOR who recorded a time of 15:06 on 17th May 2014 (event number 166). The Age Grade course record is held by Gillian TURNER who recorded 99.87% (24:43) on 20th October 2018 (event number 392). Princes parkrun, Liverpool started on 26th March 2011. 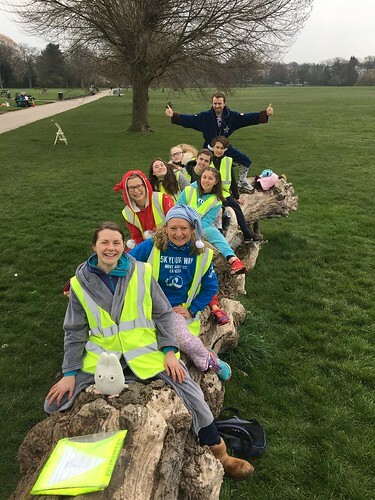 Since then 13,401 participants have completed 88,440 parkruns covering a total distance of 442,200 km, including 14,679 new Personal Bests. A total of 757 individuals have volunteered 5,815 times. This week 364 people ran, jogged and walked the course, of whom 35 were first timers and 53 recorded new Personal Bests. Representatives of 36 different clubs took part. Milestone shout outs go to: Harry Jones (JM11-14) who hit 10 parkruns and Mike Welsby who reached a whopping 250! Well done both of you. Princes parkrun, Liverpool started on 26th March 2011. Since then 13,358 participants have completed 88,067 parkruns covering a total distance of 440,335 km, including 14,628 new Personal Bests. A total of 757 individuals have volunteered 5,794 times. Just under 500 people headed to Princes this morning for our parkrun in PJs event. It was also 5k your way day with many turning up to take part. We had a few tourists taking the trip from Australia to see us! parkrun stalwart Vinny Hessey hit 200 runs and Keith Atkins hit 100 runs. Well done everyone. This week 492 people ran, jogged and walked the course, of whom 67 were first timers and 75 recorded new Personal Bests. Representatives of 42 different clubs took part. Princes parkrun, Liverpool started on 26th March 2011. Since then 13,323 participants have completed 87,703 parkruns covering a total distance of 438,515 km, including 14,575 new Personal Bests. A total of 756 individuals have volunteered 5,774 times. 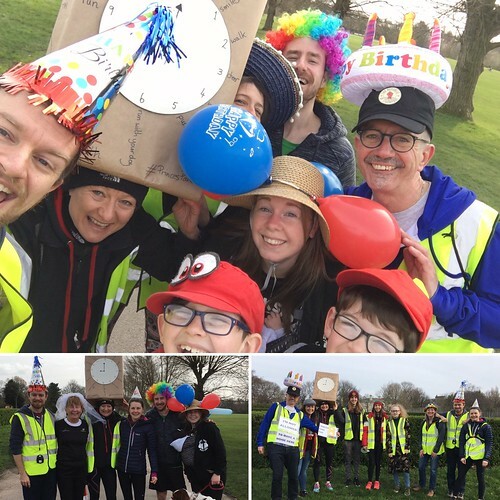 Last weekend Princes parkrun celebrated our 8th Birthday with an Ultimate Hate Day. 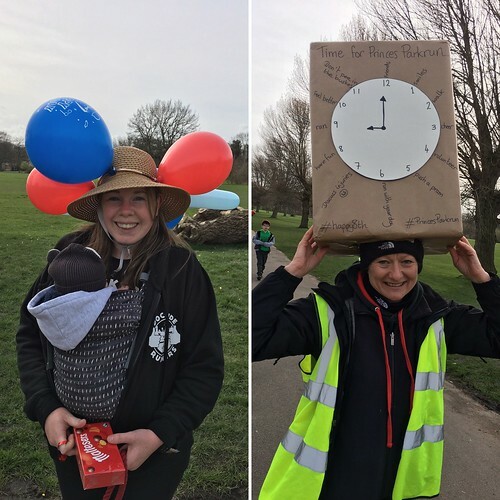 Both runners and volunteers alike got involved earing some fabulous headgear to celebrate, we had party hats, baseball caps, sombreros, clock hats, balloons and cake. Well done to all who go involved and thank you to everyone who has make Princes parkrun so special over the last 8 years for all the volunteers, core team members past and present to every runner who has toed the line you have all helped create something very special every Saturday morning. This week 453 people ran, jogged and walked the course, of whom 71 were first timers and 47 recorded new Personal Bests. Representatives of 32 different clubs took part. Princes parkrun, Liverpool started on 26th March 2011. 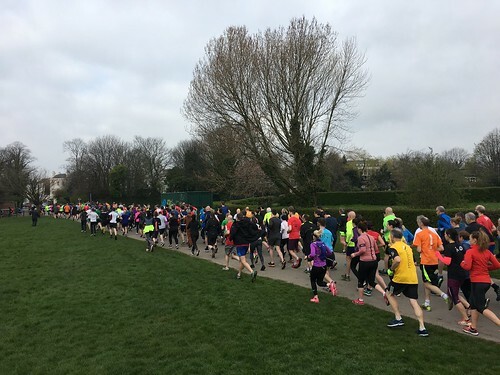 Since then 13,256 participants have completed 87,211 parkruns covering a total distance of 436,055 km, including 14,500 new Personal Bests. A total of 752 individuals have volunteered 5,754 times. 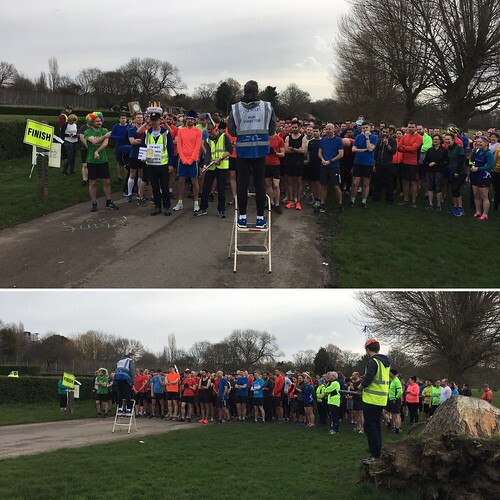 This week 317 people tackled the slightly different course, of whom 39 were first timers and 9 recorded new Personal Bests. Representatives of 23 different clubs took part. This week Abdi Ahmed, Alexandra Brennan, Christopher Spruce & Dave Owens all hit the big 50 runs, well done guys. Princes parkrun, Liverpool started on 26th March 2011. 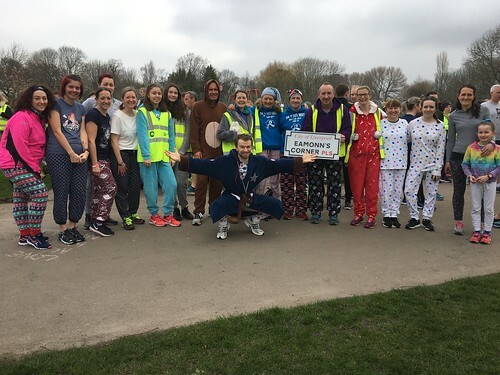 Since then 13,186 participants have completed 86,758 parkruns covering a total distance of 433,790 km, including 14,452 new Personal Bests. A total of 750 individuals have volunteered 5,729 times.